Before going into the physical causes of the Boudiccan rebellion, we need to look at the state of the eastern and south eastern regions of Britain to understand the underlying factors that caused the Iceni to resent the Romans. Britain had only experienced seventeen years of Roman rule. So many of the British people had known life under self rule, and had undergone a great deal of change in a short time. As we shall see, some of these changes did immense harm to the British, their way of life, and their relations with the Romans. The Iceni were tolerant of the Roman presence in their midst, but they still tried to distance themselves from their new rulers. The Trinovantes, to the south of the Iceni, had more cause to detest the Romans than any of their neighbours. The Trinovantes' capital, Camuldonum (Colchester) had been overrun by the Romans and was increasingly being used as a colonia for retired soldiers. Members of the tribe who had lived there for much of their lives, found themselves homeless as the Romans destroyed the homes of the natives and built new accommodation for their own kind. Seeing the Trinovantes forced out of their homes made the Iceni fearful for their own homesteads. The Catuvellauni, who were pro-Roman, occupied the area to the west of the Iceni. They were extremely powerful, and had virtually taken control of the territories occupied by the Trinovantes, Atrebates and Cantium. Although the Iceni were not directly under Catuvellauni control, as their neighbours were, the Iceni were surrounded by Catuvellauni influences. If the Iceni wanted to travel around the country trading goods, they had to cross Catuvellauni territory whichever direction they went in. So they were indirectly controlled by the Catuvellanuvi and directly by the Romans. The Iceni had a double threat to consider. Would the Catuvellauni invade and take Iceni lands, and would the Romans treat the Iceni in the same fashion they had treated the Trinovantes? Considering the factors given, the Iceni must have felt increasingly isolated and nervous of those around them. In such confined and threatening circumstances, it would not take much to push them into a confrontation. But when it came, it was horrific and violent and would lead to the biggest uprising in the entire history of Roman Britain. C. Suetonius Paullinus, the current governor, was engrossed in Wales fighting the seasonal campaigns, and so had largely ignored the remainder of the country. The Roman spies that infiltrated the tribes were reporting to Paullinus of trouble brewing in the east of the country. But he was more intent on reporting the glorious Roman victories and failed to mention the negative stories in his reports to Rome. The governor must have known about the developing situation, as he had spies in all parts of the country sending back information about gatherings and movements of large numbers of Celtic people. The Romans also had native collaborators in the tribes who were paid to give regular reports on anything that was unusual. These people were essentially traitors to their own kind, but in the Roman world, everyone and everything had a price. In many ways, the Romans instigated the Boudiccan rebellion through their own actions. The Roman rulers were so overwhelmed by their own egos and complacency, they had forgotten the basic principle of occupation. The Romans had not been watching events around them. Any animal is at it's most dangerous when it is cornered. 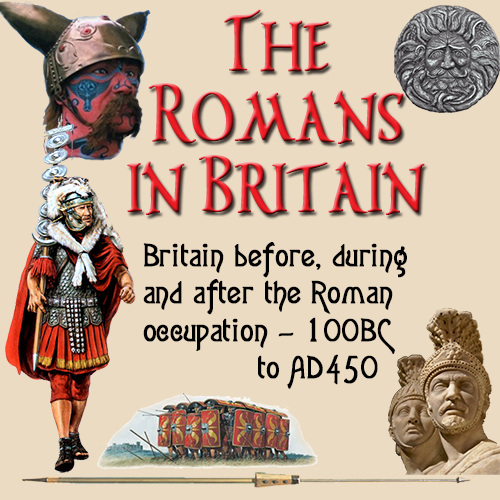 The British were initially divided amongst themselves, which was a great advantage for the Romans. 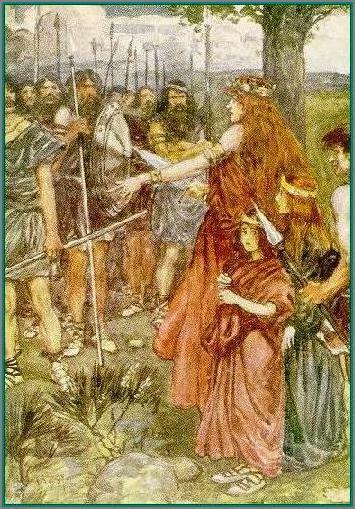 With the Romans united under one supreme power, and the British tribes at odds with each other, they did not appear to offer any great threat to the Romans. This was gradually changing, due to the factors outlined above. The Romans then committed the worse crime of any war. They did not keep a close watch on developments in the British tribes and so had underestimated their enemy. They had absolutely no idea what was happening. C. Suetonius Paullinus was so heavily involved in the campaign in Wales and Anglesey, he failed to maintain a close watch on the rest of the country. Claudius, the previous emperor, did not have much of a public image, but underneath that bumbling exterior was a mind of tactical awareness coupled with an astute and intuitive nature. Now that he was gone, there was no-one in Rome that could see from the reports that did arrive from Britain the true state of the island,as the reports were so full of the glorious victories in Wales. Being more concerned with promoting his own career than governing Britain effectively, Paullinus only reported his successes in Wales. Whether he knew of impending unrest in the east of England is not known. All that is certain, is that he did not mention any problems in his reports to Rome. By 60 AD. many tribes had now been recognised as Civitates peregrinae . Non citizen, but governing themselves to a certain degree. The official site of the Roman capital was Camulodunum (Colchester), but it may have moved when London was founded in 50 AD. London was a logical place, as it was at the centre of the province and had extensive road and sea access.